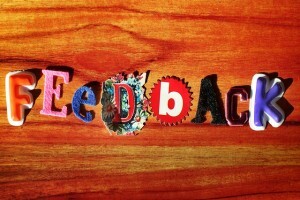 Why Should You Verify Your Facebook Business Page? As you know by now, Facebook’s rules are constantly changing. Sometimes small changes occur under the radar that can make a big impact. 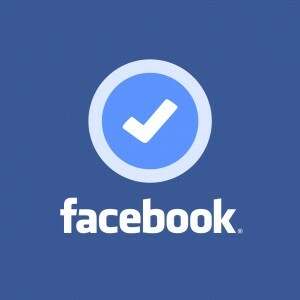 You may have had a Facebook page for your business for years, but is it verified? If you aren’t sure, pull up your page right now and see if there’s a small blue or grey circled check mark badge next to your name. If so, you’re one step ahead. But if you haven’t verified your page yet, you could be missing out on some valuable benefits of using Facebook in your marketing. Whether you run your Facebook page as a public figure, brand, media company, or small business, it is becoming increasingly important to take the extra step to get verified. Many of Solamar’s clients first discovered us because they saw a website or a brand they loved; and after doing a little digging to find out who created it, they reached out to our agency to design something equally amazing for them. We also do a lot of design work for clients who originally come to us for marketing strategy and support; and when a design need pops up — a new logo, business card, flyer or landing page — they ask us to whip something up. The good news is, we have a track record of wowing clients and hitting the ball out of the park on the first swing; but it’s always important for clients to understand that the best design and branding work is most likely to happen when the client communicates clearly and honestly throughout the design process. Without sharing as much information as possible about what you want, it’s nearly impossible for any designer to get it right, much less on the first attempt. In the first blog in this two-part series, we covered How to Communicate Your Vision With a Designer. It’s hard to believe that anyone alive in 2015 hasn’t seen a hashtag (#) or does not know what they are and how they work. 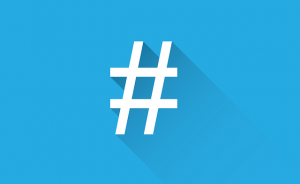 But, in case you’ve had your head in the sand for the past five years, a hashtag first became a practice for Twitter posts in 2009-2010 when Twitter began to hyperlink hashtags in tweets to Twitter search results. At it’s root, business is about people. People you serve, people you work with, they all form the social structure that serves as the foundation for your enterprise. And, like all human endeavors, the interactions between those people can greatly effect the efficiency with which you work, the quality of that work and the atmosphere within which you do that work. This is why it is of the utmost importance that you take steps to make sure that the bunch of individuals who work for and with you begin to think of each other and work together as a team. Team mentality may take some work to build, especially in the beginning when people are still feeling each other out, but the payoff is worth it! Well-built teams perform better, handle themselves better in a crisis, and generally have a higher quality of work experience. With the advent of the digital era, the ways in which it is possible to communicate with your potential clients/customers have grown exponentially in number. These days, a savvy marketer is approaching the customer using a combination of direct mail, email, advertising both print and digital, social media in its ever-evolving forms, telemarketing, promotions and good old face-to-face meet-and-greet. The problem is, even if you are doing each and every one of those things, it isn’t enough. You can flood your audience with a deluge of marketing from all available sources, but if those sources aren’t integrated, it all becomes a big mess. 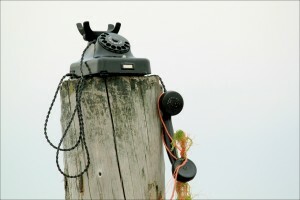 In the old days, when communication channels were limited, it was acceptable to have separate marketing campaigns for each channel. Today, with so many sources of communication available, it becomes necessary to normalize your messaging across all channels so that it doesn’t become confusing for people who may be receiving that messaging from multiple places. Why Use SVG Images — and What Are They? Before we can talk about why SVG images are so great for web design, we need to talk about what they are. 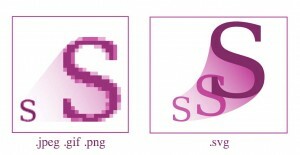 SVG is an image file format, like JPG, PNG or GIF, except that where those other formats are made up of individual pixels, SVGs are made up of scalable vectors. What this means is that, unlike older image formats which degrade and become pixelated when you enlarge them, SVGs are basically just a set of code that defines the shapes and colors included in the image, and so can be made as large as you could conceivably want them to be. Need to cover the side of a building? SVG has you covered. This means you can create one version of whatever graphic you happen to be designing, and it can be used everywhere, rather than the old way of creating a set of resolution-dependent images for every conceivable possible use. So now that you know what an SVG is, when should you use it, and why? In order to explain when you should use an SVG, I should first explain one of the caveats of SVG usage — they don’t do photographic images very well. Sure, you could take a photograph into Illustrator and trace it (turn the pixels into vectors) and save that as an SVG, but the end result would be far shy of the quality you would get from a standard pixel-based image. So except for photographic images, when should you use SVG? Whenever you can. You should make sure you or your designer is building as much of the design using scalable vectors as possible. “Yeah yeah,” you may be saying to yourself, “all this sounds great, but I already know how to make pixel-based images, and when I look at my website, it looks fine.” To which I reply, “Does it? Does it REALLY?” To illustrate my point, check out one of our previous posts on Retina displays. As you’ll see there, Apple introduced a super high-resolution display with one of their iPads a few years back, and since then Retina displays have steadily increased their market-share. If you look at a website designed for a standard display on a Retina display, any pixel-based graphics are going to appear blurry, while any SVG graphics will remain crisp and perfect. So if SVGs are so great, why don’t you see more people using them? Well, the answer is really a combination of things. One, lots of people just haven’t heard of them, or don’t understand how to fold them into their workflow. Also, while modern browsers have pretty good SVG support, it’s not ironclad, so it’s important that your designer really understand them and which of their capabilities are currently usable for modern web design. Lucky for you, the designers at Solamar are SVG experts, so if you want a website design that looks beautiful no matter where someone is looking at it, contact the Solamar design team today. When we design for the web, the end goal is for the sites we make to look consistently good on any device they might be seen on, regardless of size. Over the years, designers and developers have come up with a number of ways to make this happen, and for a while we were feeling pretty good about ourselves. Then Apple came along, and as is their habit, released a piece of technology that changed the landscape surrounding it completely. I’m talking about the “Retina” display. Debuted in 2011 on the iPhone 4S and now available on every Apple device, Retina screens have a much higher pixel density, meaning they pack way more pixels into an inch than your standard display. Apple claims that there are so many pixels per inch in their Retina displays (around 300) that they are indiscernible to the naked eye. In addition, most other major manufacturers of desktop computers, laptops and mobile devices have also begun to produce machines with high pixel density screens, though they can’t call them Retina screens because that’s Apple’s proprietary term. This means that very rapidly the majority of screens on which websites are viewed are sporting screens that are much higher resolution than they were designed for. One of the main ways this is evident is when images are used in the design. 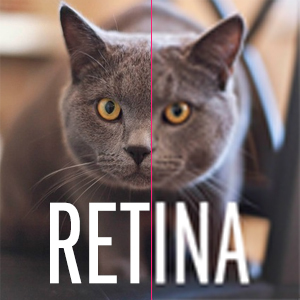 Images that were perfectly crisp and clear at regular resolutions will look gummy or blurry on a Retina screen (see image of cute kitty above). To combat this, it becomes necessary to create two versions of your images, one that you serve to regular display resolutions, and one twice as large that you serve to Retina displays. A little CSS-fu with your media queries will allow you to make sure the right version of the image is showing up in the right place. An even better way to get around this problem is to avoid images all together whenever possible. Icons, illustrations and other non-photographic design elements can be created using SVG files instead of images. SVG is a vector file format that can be stretched to any size without degrading in quality. Any element you create as an SVG will look good even if your screen is the size of the side of a building. Need a new website that looks good on Retina screens, or have an older website design that was created without taking them into account? Give the Solamarites a shout!